In this section are listed the games I've wrote in my free time for Atari, Colecovision, Intellivision and MSX platforms, some are available online and some only in cartridge and there are also enhanced cartridge versions. You can see them as indie games :). Steamroller (2018, arcade) guide your steamroller to catch the beach balls, close the manholes and avoid these to convert into bombs. Play against other player or against the CPU. The last game of David Rolfe for Activision in 1984 now in Intellivision and authorized by its creator! Available from Naber Hood Games. Sydney Hunter and the Caverns of Death (2018, platforms) Sydney Hunter is bold, but maybe this time he has gone too far entering into the Caverns of Death. Can you save him from the volcano? To be available in Colecovision cartridge from Collectorvision. Pack-in game for the Colecovision Phoenix console. Pumpkin Master (2018, arcade) in the Halloween Day what could be better than: crushing pumpkins with a proton cannon! maybe your neighbors can help, maybe. Available in Dec/2018 in Intellivision cartridge from 2600connection.com, separately you can get box and overlays from here. Hover Bovver (2018, arcade) never has been so fun to cut grass and now in your Intellivision. The classic game from Jeff Minter now available from Naber Hood Games. 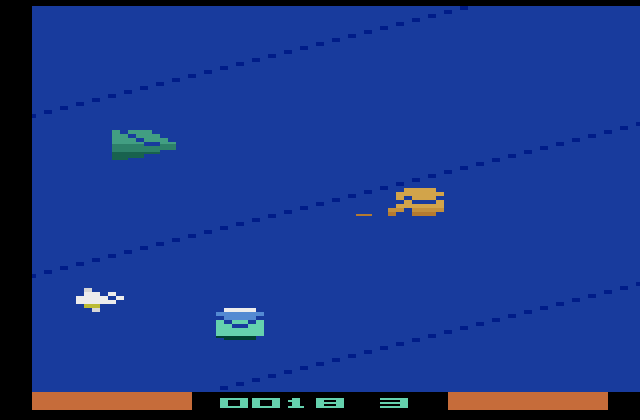 Meteor Storm (2018, arcade) pseudo 3-D space game for Intellivision, it's included in the compilation of games IntyBASIC Showcase Vol.2 published by Intellivision Revolution. 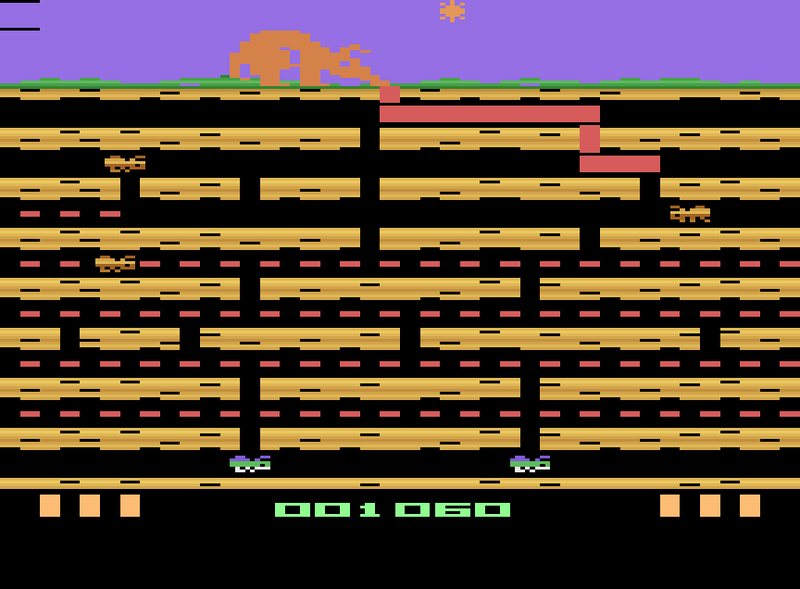 Miner 2049er (2017, platforms) this game never was published for Intellivision in the eighties, but now it's available in a fully licensed version from the original developer Bill Hogue with new levels from the original designer Curtis Mikolyski. Developed for Elektronite under request and now available from Naber Hood Games. Cartridge for Intellivision sold out. Available in cartridge for Colecovision. 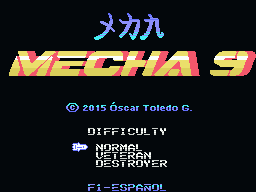 Mecha-9 (2015, arcade vertical scrolling) the Mecha-9 fills the missing story in the epic saga of Mecha-8, fighting its own battle with bosses from another dimension. Colecovision ROM now freely available for download! Space Raid (2013, arcade isometric), the ultimate battle in space raiding fortresses, it's you or your enemies. Integrated in Atari Flashback 9 Gold. Integrated in Legends Flashback Blast!. 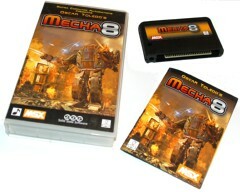 Mecha Eight (2012, arcade vertical scrolling, fifth place at MSXdev'11), an army of aliens has invaded a little planet and defeated the defenders, or almost, still remains Mecha-8. 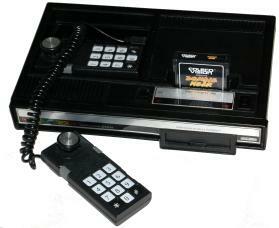 It's included in the Colecovision Flashback! Princess Quest (2012, arcade platforms), guide a medieval knight in the quest for a princess, five differents worlds and a big musical score. Zombie Near (2011, action/maze, 2nd. place at MSXdev'10), survive in zombie-infested laboratories, rescue scientists and defeat bosses to escape. Meteors (2017, arcade), fight a rain of meteors and avoid the alien spaceships. Available in enhanced Intellivision cartridge. IntyLander (2015, dexterity), land your capsule over the Moon controlling the gravity and avoiding the aliens. IntyPak (2015, arcade), eat all the points in the labyrinth while ghosts chase you. 2048 (2016, board), displace squares to pair numbers and get the magical 2048 number. Soon to be available in enhanced cartridge. 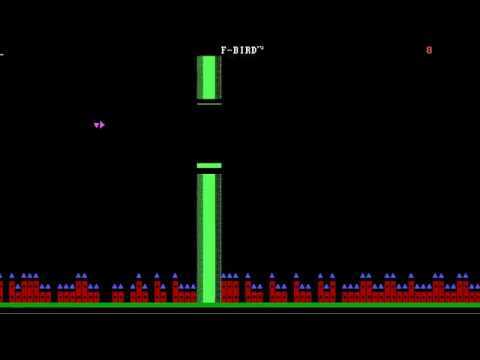 F-Bird (2017, boot sector), a clone of Flappy Bird in text mode and only 512 bytes of x86 assembler for a boot sector. Grail of the Gods (2018, RPG), port to Intellivision of a mini-RPG/Rogue-like by IBOL written in DarkBasic. Enhanced cartridge available from arcadeshopper.com. Final ROM available for emulator and FinalGROM99. Super Game Module test program (May/05/2013), if you're the proud owner of the rare Opcode Super Game Module, then with this program you'll be able to test it fully. IntyBASIC cross-compiler, this compiler allows you to write games and other programs in a dialect of BASIC for running over Intellivision consoles. Some Colecovision games were faulty since its design or manufacturing, this is thirty years ago! Super Cobra patch, allows to play it in an ADAM computer. 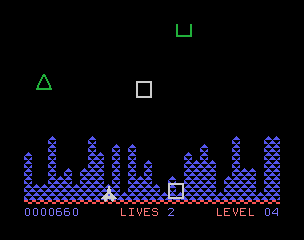 Defender patch (post #25), allows to show radar in a PAL Colecovision and makes controllers to work in ADAM. The MSX were home computers with keyboard integrated in case ready to plug into TV, them had great success in its origin country Japan and later were manufactured for other countries. 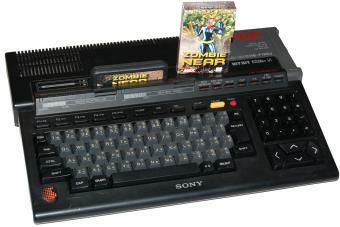 It evolved further as MSX 2, MSX 2+ and MSX turbo-R. Almost at the same time, the Colecovision console was created as a competitor to the Atari 2600 and Intellivision, it enjoyed a great success in U.S.A. because of its arcade games versions like Burger Time, Donkey Kong and Zaxxon. Games 1000 approx. 131 approx. Video Texas Instruments TMS9118 processor (256x192 pixels in 16 colors). 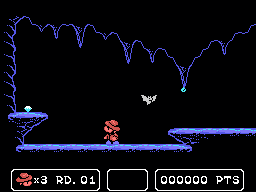 Internal ROM 32 kb. minimum 8 kb. Internal RAM 8 kb. minimum 1 kb. Other machines with similar specifications were the Spectravideo and Sega SG-1000. Of course, writing a game for these platforms is a real challenge, to get a fast game you need to write everything in Z80 assembly code, optimize it to fit the available space and find out novel ways of using the limited video processor. The Colecovision is going to be re-released in October 2014 by AtGames Ltd. as Colecovision Flashback with 60 games, and my games Princess Quest and Mecha-8 are included in the game selection. 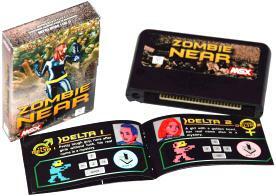 I've developed and finished Zombie Near without ever touching a real MSX or Colecovision :). Ironically my first MSX cartridges were my own game sent by Matra and received in July 2011, I got my first Colecovision in April 2012 and my first MSX computer in May 2012. I had age 9 when I started to code my first Z80 machine code programs. MSX computers never were sold at Mexico, nevertheless from 1986 until 1989 there were available at bookstores some books on the subject and a magazine: Input MSX, that made me to dream about developing a cartridge MSX game, and well... it took me only 24 years to realise it. In Feb/13/2014 Deus Ex Machina published an interview «Óscar Toledo: Desarrollador retroindie» (Spanish) authored by @retromaquinitas.